One in 20 drivers admit to regularly mislaying their car keys, with over a quarter of drivers surveyed confessing to locking them in their car - according to new data from the RAC. An RAC survey of more than 2000 drivers found that one in 20 have lost their car keys for good. Six per cent of these say they have actually managed to do this twice. One in five (18 per cent) thought they had lost their keys somewhere outdoors, nine per cent lost them in the house, five per cent lost them at work and five per cent said it happened when shopping. Another four per cent said they vanished when they were out socialising, 14 per cent said they were stolen and almost a quarter (23 per cent) simply didn't have a clue what happened to them. 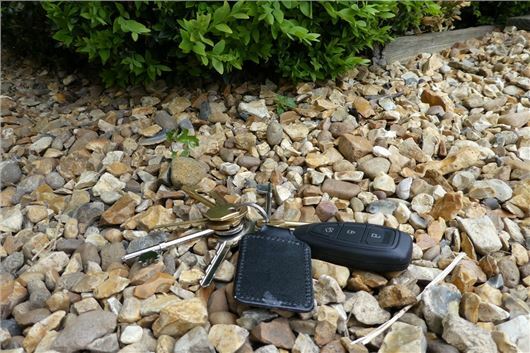 Four in 10 drivers who permanently lost their car keys just made do with their spare key, but over half said they bought a replacement key at an average cost of £176 - which equates to a UK-wide bill of over £180 million. The RAC survey found that four in 10 admit to regularly forgetting where they leave their car keys with absent-minded drivers spending on average two minutes looking for them every day - adding up to almost 14 hours a year. Female drivers in the survey were were more prone to mislaying their keys, with 45 per cent saying they frequently forget where they last put their keys, compared to 38 per cent of men. However, 30 per cent of male drivers admitted to locking their keys in the car compared to 23 per cent of female drivers. To recover the keys and access their car 31 per cent of these drivers called the RAC or another breakdown provider, 32 per cent used their spare key, 20 per cent found another way to open the door and 3 per cent called a locksmith. 3 per cent had to resort to smashing a window.